Most people don’t know it, but hot showers cost a lot to run, in fact in a typical home an 8 minute shower per person accounts for around 30% of the water and energy usage, that’s more than stoves, lighting, dishwashers, washing machines and dryers. With a Showerguard Shower Timer you can take back control of water and energy expenses in your home by setting a limit on long showers and giving everyone their fair share of hot water. Showerguard works by stopping the flow of hot water to your shower after a pre set shower time between 2 to 20 minutes. In the last remaining minute Showerguard sends a quick pulse of cool water to remind you that only 1 minute is remaining then a second pulse 30 seconds later. After a shower time is reached Showerguard turns off the hot water for a pre set waiting time then resets to let someone else have their turn. How much could you save with Showerguard? Hot showers use around 30% of a homes water and energy expenses, if long showers are an occurrence in your home this figure could be much higher, once installed Showerguard can help you save upto 20% on your utility bills and within one year will pay for itself resulting in hundreds of dollars of savings annually, learn more about how to save water and energy. 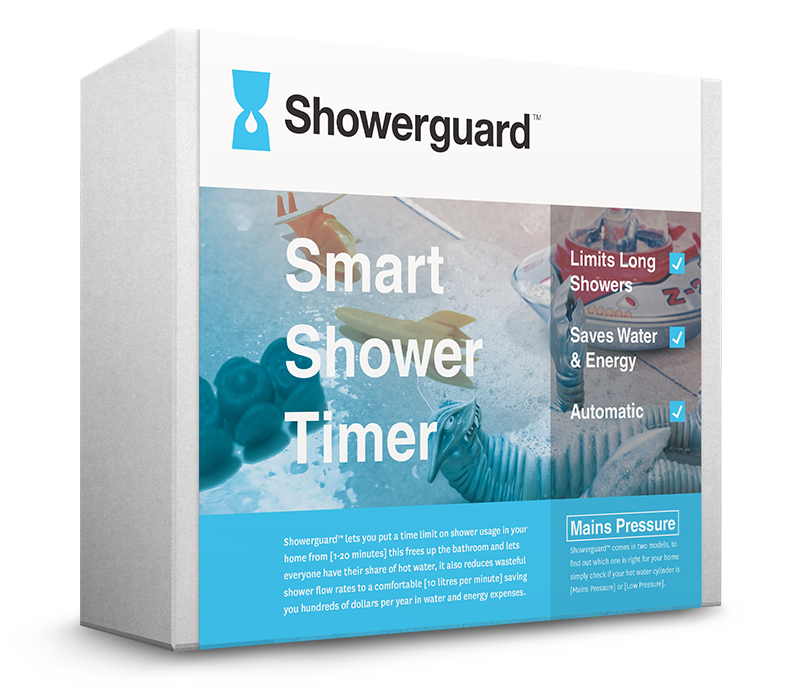 Showerguard is a New Zealand designed product and is made from two main components, an electronic timer and a water flow switch. It is installed on to your showers hot water pipe located in your hot water cylinder and can be easily installed by an electrician and plumber. 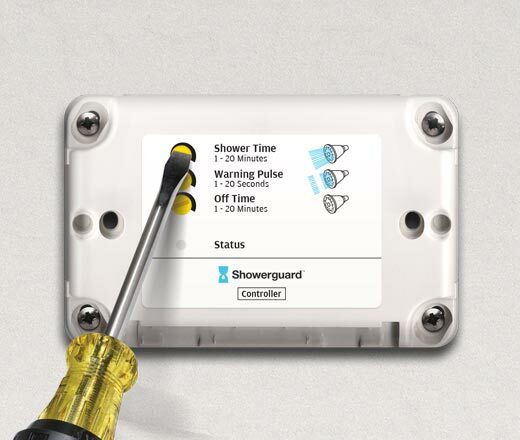 Once installed simply set a shower time and Showerguard will work automatically in the background limiting long showers with no adjustments or maintenance, learn more about the installation. ”The device is simply unbelievable. Our Showerguard is set at 7 minutes. Having boys who still live at home in their early twenties and their friends continually showering at our place before a big night on the town, the Showerguard has paid for itself at least three times over. 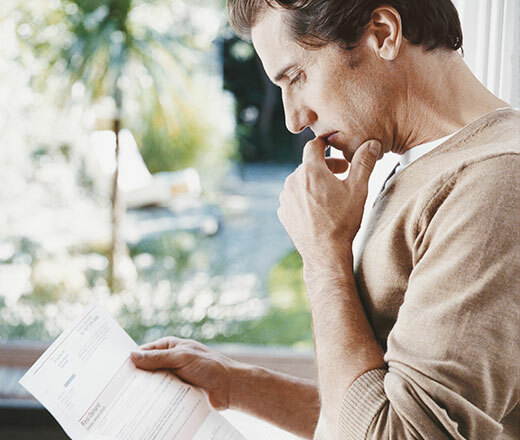 Our water bills show a decrease and our power bills are down too. The Showerguard Shower Timer is a certified water efficient product, the Smart Approved WaterMark is Australia’s outdoor water saving labelling program for products and services that help to reduce water use around the home, find out more at www.smartwatermark.org.